Trump softens stance on torture. 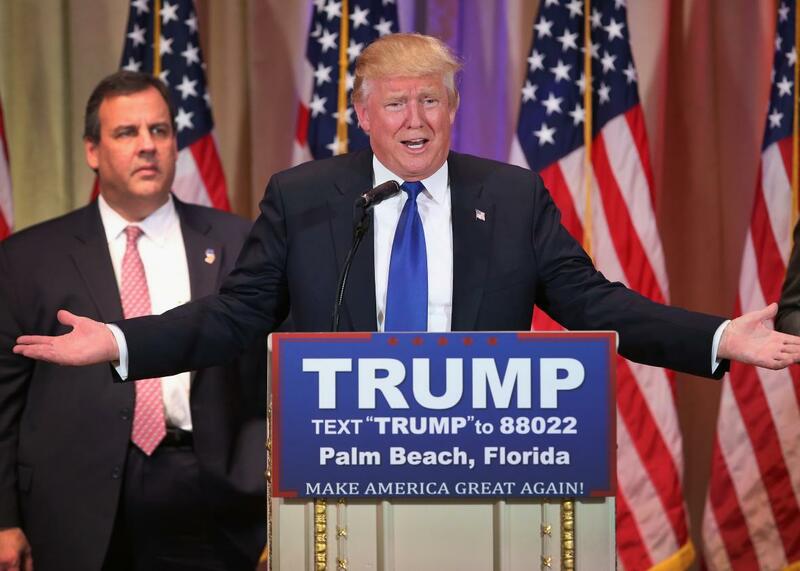 Republican presidential front-runner Donald Trump speaks to the media at the Mar-A-Lago Club on March 1, 2016 in Palm Beach, Florida. Presidential candidates don’t usually have to clarify they won’t break the law if elected. Then again, Donald Trump has ushered in a lot of firsts this campaign season, so it shouldn’t seem that strange that the real estate mogul has assured he wouldn’t order soldiers to do anything that could get them in legal hot water. The move amounts to a softening on Trump’s stance on torture after he said he would kill the families of terrorists and do things that were a “hell of a lot worse” than waterboarding to terror suspects. At Thursday night’s debate, Trump dismissed suggestions military officers would not follow his orders. “They won’t refuse. They’re not going to refuse me. Believe me.” He also once again characterized as ridiculous all the talk about how pouring water over someone’s face to mimic drowning is torture. “Can you imagine? Can you imagine these people, these animals over in the Middle East, that chop off heads, sitting around talking and seeing that we’re having a hard problem with waterboarding? We should go for waterboarding and we should go tougher than waterboarding,” Trump said.